Going for the best 18 Inch Subwoofer is for those who have decided to go all out on their bass. It is the perfect choice if you want your car to be nothing but audio. Not a lot of people go for the 18 inch sub because of space considerations . It could take up your whole trunk but that would be a small sacrifice to make considering the power and bass you will be getting. We have reviewed some of the best 18 inch subwoofers in the market today so that you can make a better decision when purchasing. 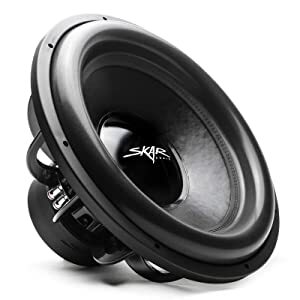 Skar have gone out in built quality and this one of the best 18 inch subwoofer. It completely re-defines what low-end quality sound production should mean. The world class driver engineering ensures that the woofer is able to handle the lowest of frequencies even when it is operating full mode. The subwoofer has a double stack ferrite motor which together with the 4 layer aluminum voice coil aids in heat dissipation so that you can play for longer hours without overwhelming your system. It is also kept cool because of the advanced air flow cooling which has been integrated in the motor structure. The EVL’s damper suspension together with the high-roll foam surround allows for riveting bass response. The Rockville RVP18W4 will make your system erupt with a 1200 watts peak power. This strong and built to last 18 inch subwoofer comes encased in a raw steel basket with a fiber reinforced ultra-stiff composite paper cone. This woofer has a 3 inch high temperature aluminum wire SPL voice coil and has a linear progressive spider to maintain optimum alignment. On the side there dual nickel-plated banana terminals which makes it easy to install. This woofer can serve as a replacement or an upgrade to your current audio system. 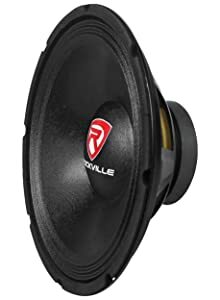 The sub from Pyle is among the best 18 Inch subwoofer is a great bargain especially if you are on a budget and don’t want to compromise on quality. It has inch high temperature dual kapton voice coil which helps in keeping the woofer cool in case there is overheating. The non-fatiguing big rubber suspension helps in excursion by increasing efficiency of the subwoofer. The subwoofer can handle up to 1800 Watt max power. It has impeccable aesthetic design with a beefy and obnoxious surround. With its incredible linear suspension, this 15 inch subwoofer is truly one of a kind. The subwoofer will work perfectly well in tiny enclosures and up to 50% more than the recommended low-frequency extension. It provides consistent flat rate response at just any volume because of the frequency response doesn’t change at all. 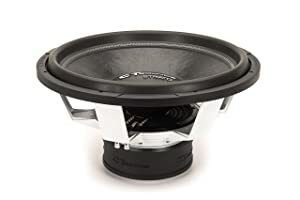 Rated as one of the best 18 inch subwoofer, American Bass is designed with durable interwoven and none-press cone and EROM foam surround for high excursion. It produces 3000 watts max power wired at 1 ohm with a 3000 ounce magnet. It features a die cast basket and has vents that are attached to the conex spiders.